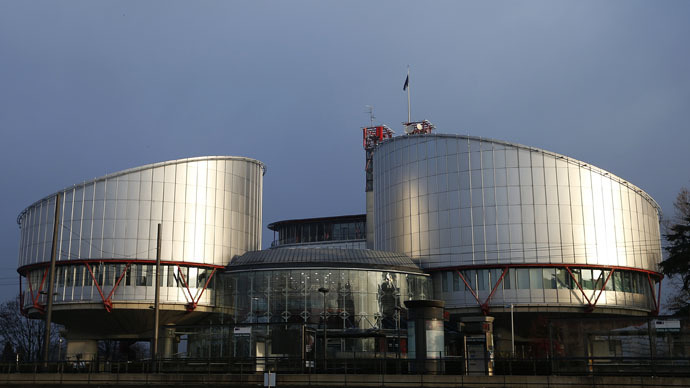 The Supreme Russian Court has established that no international treaty or convention has precedence over national sovereignty, and decisions by the European Court of Human Rights (ECHR) should be upheld only when they don’t contradict basic Russian law. “The European Convention for the Protection of Human Rights and Fundamental Freedoms as well as legal positions of the ECHR that are based on it cannot cancel the priority of the Constitution,” Judge Sergey Mavrin said at Tuesday’s session of the Russian Constitutional Court. “All decisions of the ECHR must be executed only with consideration to the Russian Constitution’s supremacy. As an exception, Russia can refuse to fulfill the imposed obligations when such a refusal is the only way to prevent the violation of the basic law,” the judge added. In late 2013 the Russian Constitutional Court ruled that it had the right to decide on the execution of contradictory ECHR decisions in Russia. The Tuesday decision expanded the supremacy of the Constitutional Court over foreign courts and international treaties, and established the priority of the Russian Constitution in general. The Tuesday court ruling was a reply to a group of State Duma deputies, representing all four parliamentary caucuses, who contested a number of Russian laws that, in their view, ordered Russian courts and state agencies to unconditionally execute all orders of the ECHR, even if such orders contradict the Constitution. MP Aleksandr Tarnavskiy (Fair Russia) said that lawmakers who requested clarification suspected that a number of ECHR decisions were passed in order to dilute the boundaries of Russia’s sovereignty as a state, based on the priority of the Constitution as well as the priority of Russia’s Constitutional Court as a sole body of state power that has the right to perform constitutional supervision. After Judge Mavrin announced the court ruling on Tuesday he told reporters that there was a possibility the Constitutional Court would investigate the Yukos case, but only it is brought in front of the court by the plaintiffs. The comment apparently concerned the ECHR’s ruling in July 2014 that ordered Russia to pay $2.5 billion in compensation and legal expenses to former shareholders of the oil giant Yukos dissolved in 2007 after its top managers and key owners were jailed for tax evasion. Later in the day the press service of the Russian Justice Ministry circulated a statement saying that all of the ministry’s actions connected with the ECHR’s ruling on the ‘Yukos vs. Russia’ case would be based on the ruling establishing the priority of the Russian Constitution. Earlier this year the head of Russia’s top law enforcement agency – Chairman of the Investigative Committee Aleksandr Bastrykin – suggested changing the Constitution in order to end the precedence of international laws. Bastrykin claimed that the principle of the superiority of international law over domestic had been added to Russian legislation in 1993 due to the strong backing of US advisors and called this move a possible act of legislative sabotage against Russia. Bastrykin emphasized that despite imposing the supremacy of international law on Russia, the United States itself was not following this principle in their legal system. He added that the primacy of international law was not recognized as valid or was only partially implemented in the United Kingdom and some other countries that use the Anglo-Saxon (precedent) legal system. Nations such as Brazil and India simply consider national law as taking precedent. The top Russian investigator suggested eliminating the principle that makes international law an integral part of the Russian legal system and introducing the priority of the national law into the Constitution.